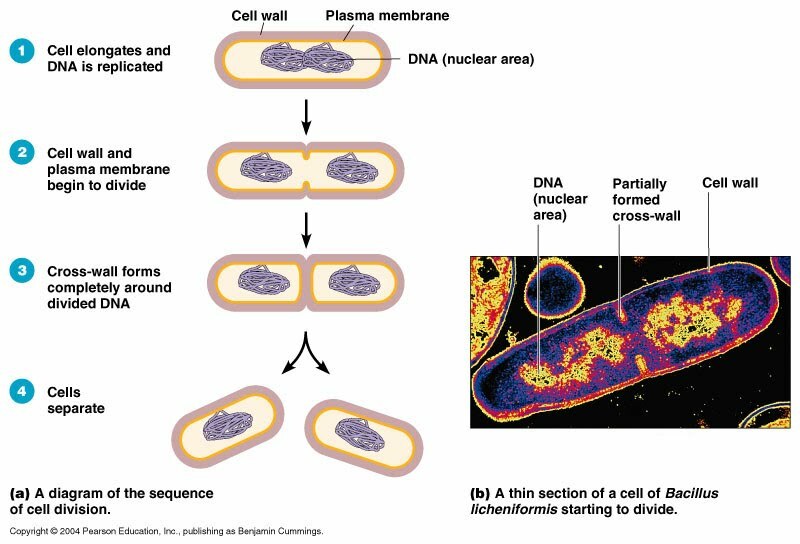 Prokaryotes have a simple cell structure without compartmentalization. Eukaryotes have a compartmentalized cell structure. Electron microscopes have a much higher resolution than light microscopes. Application: Structure and function of organelles within exocrine gland cells of the pancreas and within palisade mesophyll cells of the leaf. 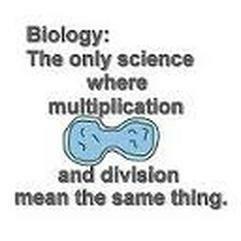 Application: Prokaryotes divide by binary fission. 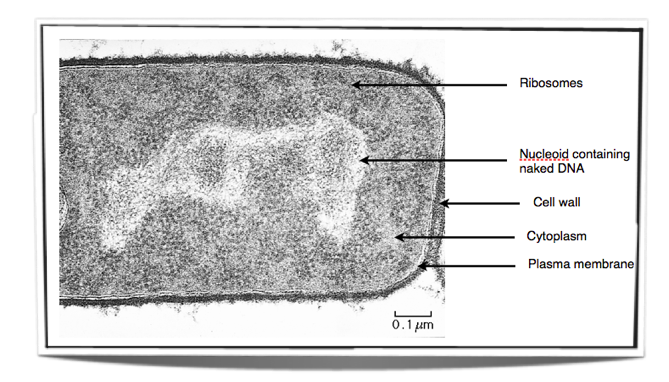 Skill: Drawing of the ultrastructure of prokaryotic cells based on electron micrographs. Skill: Drawing of the ultrastructure of eukaryotic cells based on electron micrographs. Skill: Interpretation of electron micrographs to identify organelles and deduce the function of specialized cells. Drawings of prokaryotic cells should show the cell wall, pili and flagella, and plasma membrane enclosing cytoplasm that contains 70S ribosomes and a nucleoid with naked DNA. Drawings of eukaryotic cells should show a plasma membrane enclosing cytoplasm that contains 80S ribosomes and a nucleus, mitochondria and other membrane-bound organelles are present in the cytoplasm. 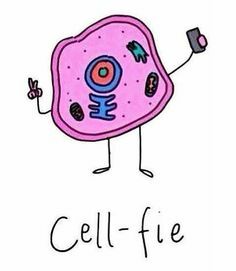 Some eukaryotic cells have a cell wall. Aim 8: Developments in science, such as electron microscopy, can have economic benefits as they give commercial companies opportunities to make profits, but this can affect cooperation between scientists. Essential idea: The structure of biological membranes makes them fluid and dynamic.